October 3, 2013: KFC recently launched its new Rice Bowlz Ad which shows a young executive enjoying his Rice Bowl while seated on his motorcycle. The 25 secs ad which was designed by Ogilvy & Mather and Directed by Rajesh Krishnan communicates about the new meal from KFC. 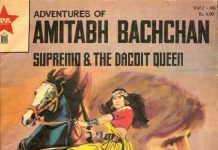 Dhruv Kaul, Director, KFC Marketing was quoted as saying about the new ad “Young adults in India are pressed for time, and find it hard to grab a wholesome and tasty lunch. In our tech savvy lives today, we are bombarded with calls, messages and emails; and it’s hard to take a Time-Out for yourself. We’ve brought that insight alive in an easy cool manner in our recent advertising and are confident that it will resonate with our customers! 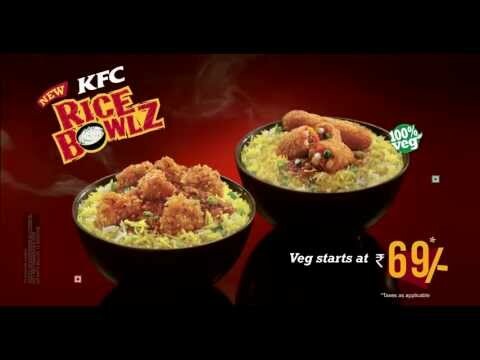 KFC which is positioning Rice Bowl as a perfect lunch option would be making it available at an attractive price of just Rs.69 for veg and Rs.79 for non veg across its 230 plus restaurants across the country. Rice which would be having spices and condiments would also be having rich gravy with it. It would be accompanied by popcorn chicken and some spicy veg strips.